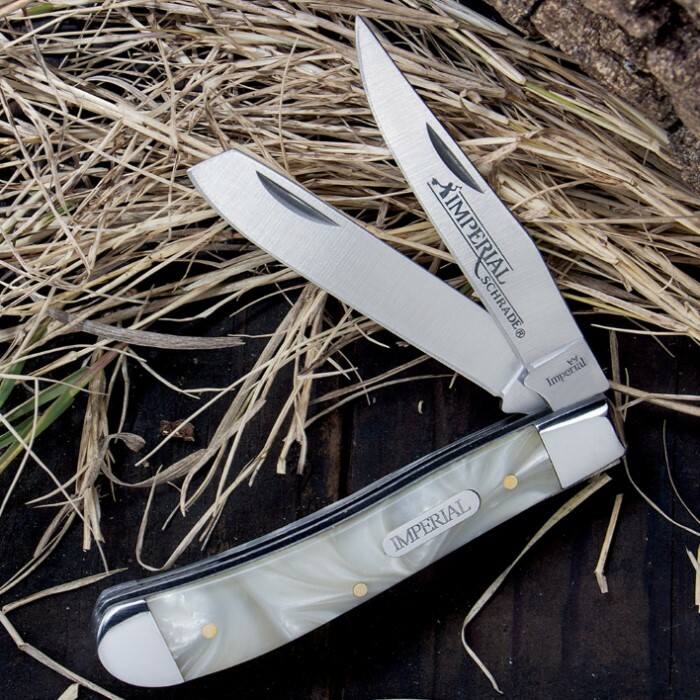 Schrade Imperial White Pearl Large Trapper Pocket Knife | BUDK.com - Knives & Swords At The Lowest Prices! 3 or more only $7.00 each! You can't go wrong with this classic Schrade Imperial White Pearl Trapper Pocket Knife. It's definitely a looker and razor sharp to boot! 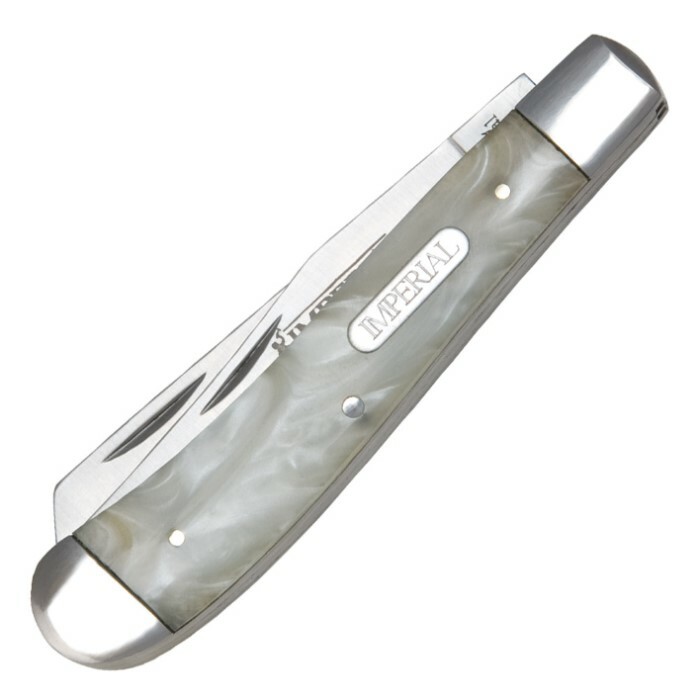 It features 400 series stainless steel blades and has a handsome pearl handle. 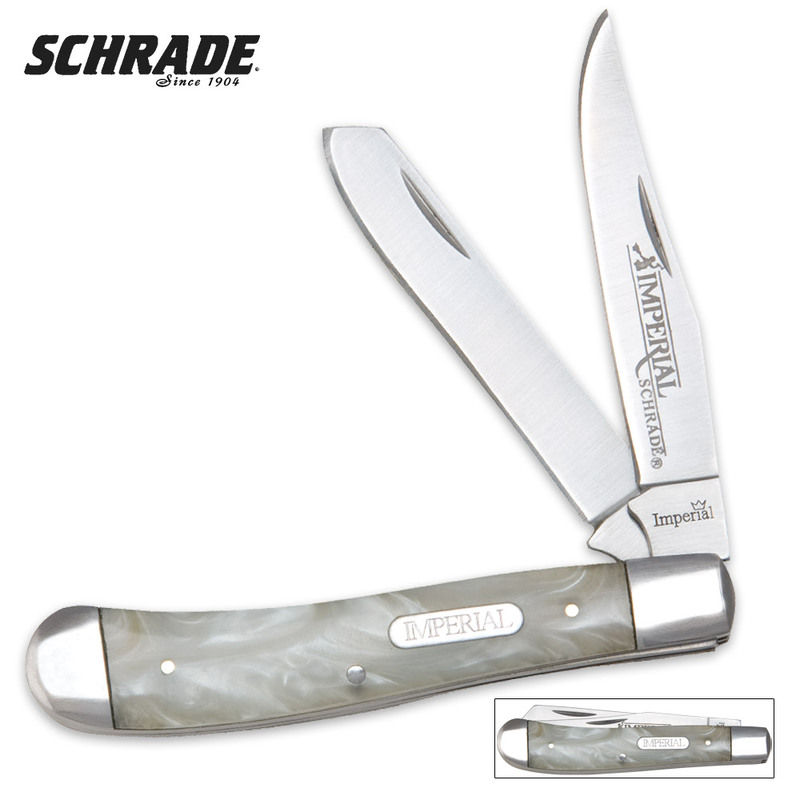 Schrade's Imperial markings and accents assures you that you are getting the highest quality in a pocket knife. For 8 bucks you can't go wrong by purchasing this knife. Classic mother of pearl handles and the perfect size. Good sturdy knife for everyday carry without the worry of beating up something that costs 60 dollars more. Good quality. A great buy. I bought 6 to use as gifts to good friends.